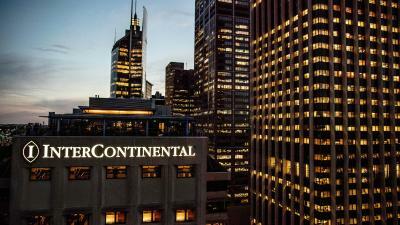 Lock in a great price for InterContinental Sydney – rated 8.9 by recent guests! Breakfast at other Intercontinental hotels is better than the ones in Sydney. Need more items. Room was lovely and comfortable. Breakfast was great! great location. next to the botanical gardens and opera house. Helpful friendly staff. we didn't have breakfast. The attached photo is from our window. The staff was very helpful. The hotel was beautiful.The location was great, getting transportation around the city was easy. It’s a nice hotel in a very good location. It was clean and the staff are good. Location was amazing - absolute 5 star, couldn't ask for more. Bed was comfy, room quite spacious, breakfast had a great variety. Allowed us to check in an hour early and check out at 4pm - fab! We only had coffee/lattes at the hotel. Our stay was too short! Our room overlooked Harbour Bridge. It was beautiful. I was also able to do some jewely shopping downstairs.... an unexpected surprise. 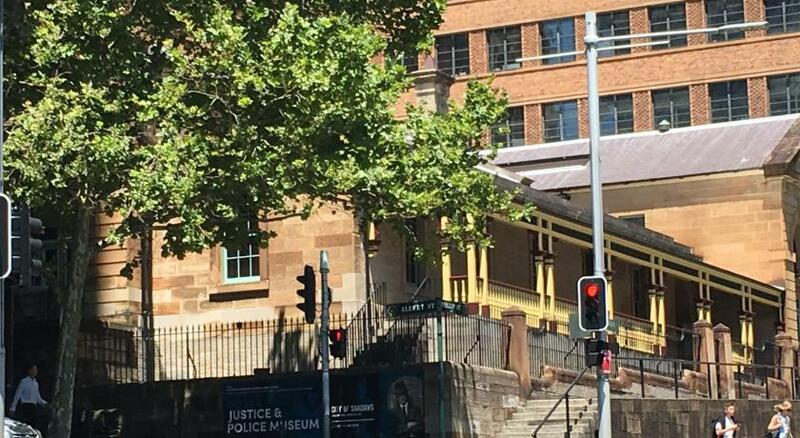 The hotel is within walking distance of the Opera House, Royal Botanical Gardens, Sydney's Harbour/docks, restaurants, shopping.... couldn't ask for anything better! Staffs are very friendly and helpful. Really quick reaction to fix a minor defect. The room is super clean. The view from the room is good but not good enough considering the price. The location is great. It only takes a five minutes walk to the train station and less than 10mins walk to the opera house. InterContinental Sydney This rating is a reflection of how the property compares to the industry standard when it comes to price, facilities and services available. It's based on a self-evaluation by the property. Use this rating to help choose your stay! 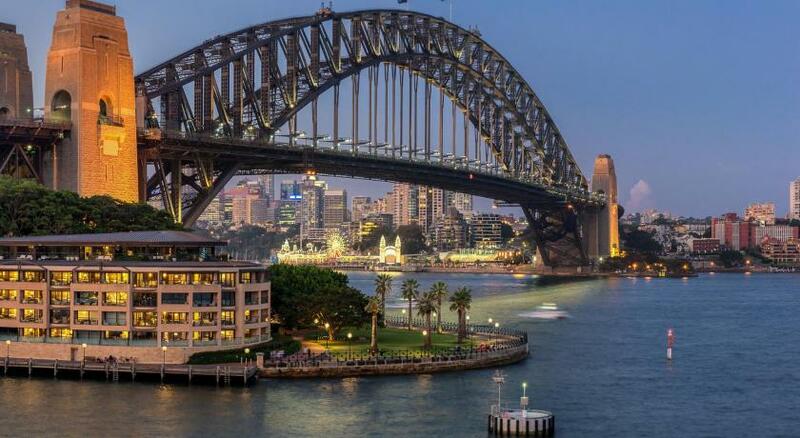 One of our top picks in Sydney.Located in a historic 19th-Century building in Circular Quay, near The Rocks, the 5-star InterContinental Hotel overlooks the iconic Sydney Opera House and Harbor Bridge. All air-conditioned rooms at the InterContinental have views of the city or the harbor. Each room includes satellite TV and a mini-bar. Guests can make use of the 24-hour fitness center, or enjoy a range of beauty treatments at Sebastian Salon. Cafe Opera features a buffet with global cuisine and a seafood buffet on weekends. 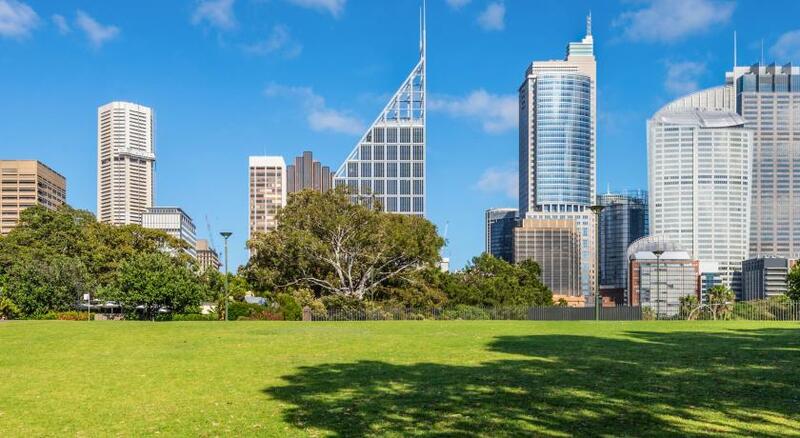 The Royal Botanic Gardens are less than 5 minutes' walk away via Macquarie Street. 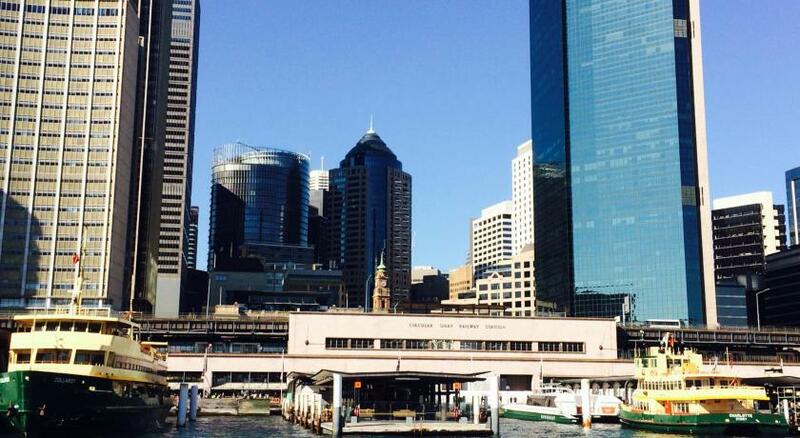 Circular Quay Ferries are just a 2-minute walk away, convenient for those who need to travel across Sydney Harbor, or enjoy one of Sydney's famous whale-watching tours. 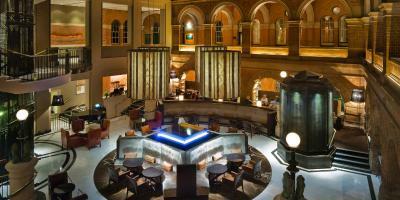 When would you like to stay at InterContinental Sydney? This room features a luxury window seat with views of the city skyline. Private parking is available on site (reservation is not needed) and costs AUD 70 per day. 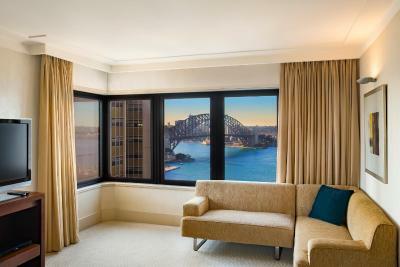 This room features a luxury window seat with views of Sydney Harbor and the Royal Botanic Gardens. Featuring views of the Sydney Harbour Bridge, this room includes a bathrobe and a sitting area. Discover the pinnacle of definitive luxury with a dramatic glass atrium and sandstone arcades inside InterContinental Sydney. Nestled in the renowned dress circle of Circular Quay with unparalleled views across the harbour city, InterContinental Sydney has been an icon of choice for more than 30 years. 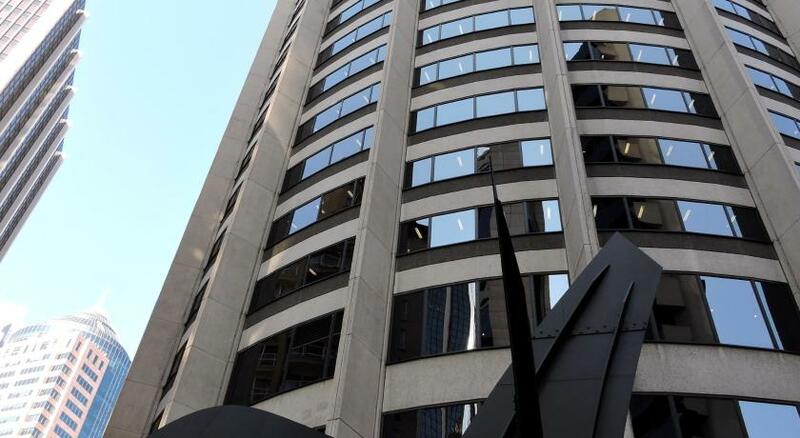 Set within the beautifully restored Treasury Building of 1851, InterContinental Sydney holds a rich heritage of 19th century architecture, wonderment and history, sitting upon the first grape vines planted in Australia in 1788. 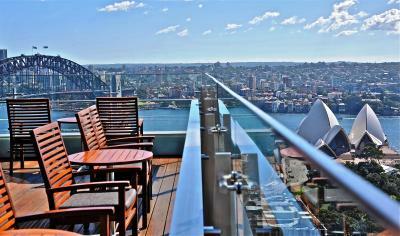 InterContinental Sydney’s 509 contemporary guest rooms, including 28 suites, blends luxury with comfort. Each room contains a picture frame view of the city skyline, Sydney Harbour Bridge, Sydney Opera House or the Royal Botanic Gardens, WiFi access and spacious work zone and luxury window seat and chaise lounge to enjoy the views. Discover an array of tantalising dining options suited for any celebration or occasion. From the fresh, seasonal seafood buffet of Cafe Opera, to a la carte degustation dinner’s in 117 dining, to specially crafted cocktails, wines or the hotel’s renowned High Tea or High Coffee served in The Cortile. 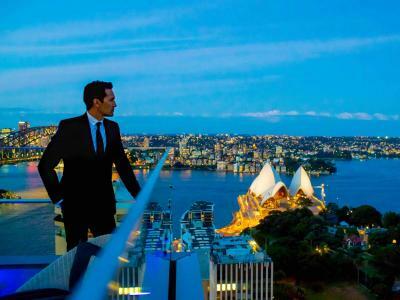 House Rules InterContinental Sydney takes special requests – add in the next step! InterContinental Sydney accepts these cards and reserves the right to temporarily hold an amount prior to arrival. Please note that a 1.5% surcharge applies for payments with other credit cards. Bath tub was small, not really for children. Bed and pillows super comfy! Opera cafe buffet; pool; friendly staff; room views; access to all places in city; plenty of vegan, gluten free options. I don't like showers over a bath. No bath please just the shower. The service was bad waited half a hour for a drink and room wasnt ready when asked for it to be ready as came from Perth husband has back injuries. Asked 3 times finally after waiting 2 hours was ready not even a apology. Brekky was good as was free not worth $42 Iif paid for it. The Inter Continental group is top end and everything as in line with that expectation. 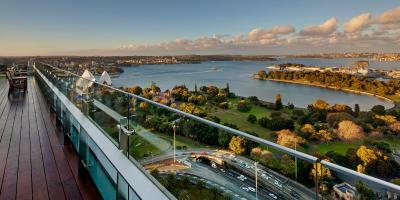 Great location within walking distance of Sydney harbour. Location and service - as expected. Being seated at great table for breakfast. Prompt valet parking service at checkout. In comparison to other hotel rooms in the city for similar price or even less was very disappointing. Room was very small. Bathrooms were very old and outdated. View was of a construction side across the road and accompanying building site noise. Windows were dusty and unappealing from the outside. You also weren’t provided with the basic hotel essentials such as toothbrush and shaver kit - had to call the hotel desk to ask for them to be provide. 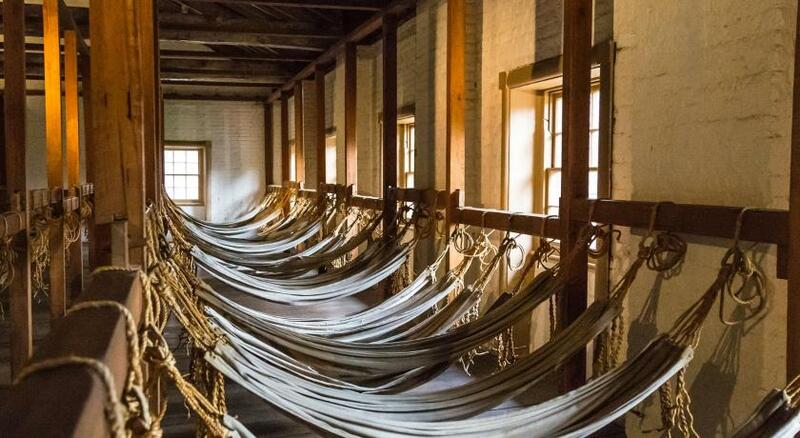 The bed was extremely comfortable and the linen of high quality. The room was well lit and well appointed. The coffee machine was easy to use and the 2 varieties of coffee pods were delicious. The mini bar was well stocked although we didn’t use any of the stock.